Why am I part of a Facebook class action in the first place? The social network got sued for using you as a product pitchmen for “Sponsored Stories” without your permission. For instance, if I “Liked” Justin Bieber’s page, my Facebook friends might have seen a big ad saying “Jeff likes Beeb’s new eyeliner.” Today, Facebook can still do that because it changed its privacy terms — it’s the earlier ads it’s on the hook for. Go to the settlement page and fill out the claim form by May 2. So how much will I get? Facebook is paying $20 million all-in to make this go away. Under a revised deal (the judge rejected the first one), Facebook users are eligible for up to $10 each — so long as there’s enough money to go around. Oh, and that $20 million isn’t just for Facebook users. The lawyers are asking for nearly $8 million. Then there are people like the “escrow agent” and the “settlement administrator” who get a cut too. If the judge okays all this, it will be more like $10 to $12 million to go around. To look at it another way, if there is $12 million left after the lawyers, there is enough money left to pay 1.2 million Facebook users. Well, what if more than 1.2 million people make a claim? You have to share. If 2 million Facebook users sign up, everyone would get about $6. If 2.4 million sign-up, it’s $5. If more people than that sign up, everyone gets nothing. So what are my chances to get some money? 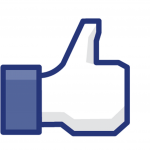 There are about 165 million Facebook users in America. If even 2 percent decide to make a claim, you’re likely out of luck. Well, that doesn’t seem fair. Who gets the money then? The class action says it’s not very efficient to cut $4.99 checks to everyone. So, if too many people are eligible, they’re just going to give the money to your friends at Harvard, Stanford, Berkeley and the EFF instead. These groups will then use your money to advocate for privacy. Well, damn it. It was my privacy that was violated — don’t I even get to be involved? To be fair, this isn’t as crazy as it sounds. Many of the privacy advocates do good work and the class action lawyers, even if they’re in it for themselves, do keep the tech companies on their toes. The bigger problem here is that these legal deals don’t do a good job of involving the people who are affected. Nor do they produce solutions such as a “pay-for-privacy” option. Would you pay $5 a month for an ad-free, non-creepy version of Facebook? I might. But the class action settlement doesn’t allow us to raise these sort of options or to ask Facebook directly about what they’re doing. If I don’t get any money, does any good come out of this lawsuit? A bit. The settlement claims it will force Facebook to create a tool to see which products you’re endorsing and to remove your endorsements. But we’ll have to see if this tool will be easy to use in practice. Isn’t another part of this about the fact that facebook knowingly and willingly violated California law which stipulates a $750 fine for each violation and facebook claimed that it wasn’t reasonable as the amount of money then would be too large!!! Im not sure whats funnier, my friends at Harvard part or the part about me giving money to Harvard or even Harvard fighting for my privacy. So much fodder for comedy…..
i’m from abroad, how do i fill out the form when it does not let me state my country? Hi Joseph, I believe only US residents are eligible..
so do you know the reason why people from abroad cant get it? ?